Board of Directors | TETRA Technologies, Inc.
Delivering leading completion fluids and water management solutions. Mr. Sullivan has served as a member of our Board of Directors since August 2007 and as Chairman since May 2015. He previously served as Chairman of our Nominating and Corporate Governance Committee and as a member of our Compensation Committee. From 1981 through August 2003, Mr. Sullivan was employed in various capacities by Anadarko Petroleum Corporation, most recently as executive vice president, exploration and production. Mr. Sullivan has been retired since August 2005. Mr. Sullivan serves as a director and a member of the audit committee of our CSI Compressco GP Inc. subsidiary, the general partner of CSI Compressco, also one of our consolidated subsidiaries and a publicly traded limited partnership subject to the reporting requirements of the Exchange Act. Mr. Sullivan is the non-executive chairman of the board of directors of SM Energy Company, a publicly traded exploration and production company that is subject to the reporting requirements of the Exchange Act. Mr. Sullivan is also a director and serves on the audit, nominating and corporate governance and conflicts, and compensation committees of Legacy Reserves GP, LLC, the general partner of Legacy Reserves, LP, a publicly traded limited partnership holding oil and gas producing assets, primarily in the Permian Basin and Rocky Mountain areas. From February 2007 to May 2015, Mr. Sullivan served as a director and as a member of the conflicts and audit committees of Targa Resources Partners GP, LLC, the general partner of Targa Resources Partners LP, a publicly traded limited partnership. Mr. Sullivan received his B.S. degree in Mechanical Engineering from Texas A&M University. Stuart M. Brightman has served as our Chief Executive Officer and as a director since May 2009. From May 2009 until February 2018, he also served as our President. He served as our Executive Vice President and Chief Operating Officer from April 2005 through May 2009. Mr. Brightman also serves as chairman of the board of directors of our CSI Compressco GP Inc. subsidiary, the general partner of CSI Compressco LP (“CSI Compressco” or “CCLP”), one of our consolidated subsidiaries and a publicly traded limited partnership subject to the reporting requirements of the Exchange Act. From April 2004 to April 2005, Mr. Brightman was self-employed. Mr. Brightman served as president of the Dresser Flow Control division of Dresser, Inc. from April 2002 until April 2004. From November 1998 to April 2002, Mr. Brightman was president of the Americas Operation of the Dresser Valve Division of Dresser, Inc. He served in other capacities during the earlier portion of his career with Dresser, from 1993 to 1998. From 1982 to 1993, Mr. Brightman served in several financial and operational positions with Cameron Iron Works and its successor, Cooper Oil Tools. Mr. Brightman also serves on the board of directors and as a member of the compensation and nominating and governance committees of CandJ Energy Services, Inc., a public company subject to the reporting requirements of the Exchange Act. Mr. Brightman received his B.S. degree from the University of Pennsylvania and his Master of Business Administration degree from the Wharton School of Business. Mr. Baldwin has served as a member of our Board of Directors since January 2014 and as Chairman of our Audit Committee since May 2014. 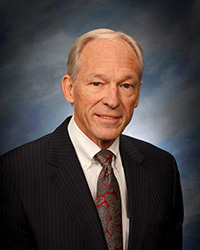 Mr. Baldwin served as the executive vice president and chief financial officer of Dresser-Rand Group, Inc., a public company subject to the reporting requirements of the Securities Exchange Act of 1934 (the “Exchange Act”), from August 2007 until his retirement in May 2013. Prior to joining Dresser-Rand, he served as the executive vice president, chief financial officer, and treasurer of Veritas DGC Inc., a public company subject to the reporting requirements of the Exchange Act, from August 2004 through February 2007, and operating partner at First Reserve Corporation from April 2003 through July 2004. 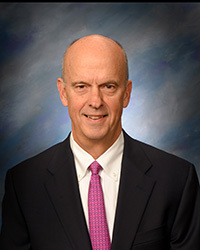 Mr. Baldwin served as executive vice president and chief financial officer for NextiraOne from October 2001 through August 2002, and as chairman of the board and chief executive officer for Pentacon Inc. from 1997 through 2001. 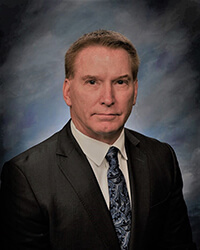 From 1980 through 1997, Mr. Baldwin served in a variety of finance and operations positions with Keystone International Inc., including treasurer, chief financial officer, and president of the Industrial Valves and Controls Group. 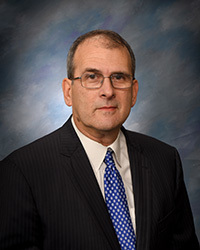 Mr. Baldwin currently serves as a director and as a member of the audit committee of KBR, Inc., a public company subject to the requirements of the Exchange Act, and as a director of Nine Energy Service, Inc., a private company providing completions, wireline, and cementing services. 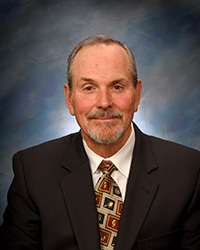 He previously served as a director of Seahawk Drilling Inc. from August 2009 until February 2011. Mr. Baldwin has a B.S. in Mechanical Engineering from Duke University and an MBA from Tulane University. Dr. Bates has served as a member of our Board of Directors since November 2011, as Chairman of our Compensation Committee since May 2014, and as a member of that committee since May 2012. Dr. Bates is a private investor and currently an adjunct professor in the Finance Department at Texas Christian University where he teaches in the MBA program at the Neeley School of Business. Dr. Bates joined Lime Rock Management LP, an energy-focused private equity firm, as a managing director in 2001 and became a senior advisor of the firm in 2010 before retiring in 2013. Dr. Bates had 25 years of experience in oil service management and operations before joining Lime Rock. He served from 1998 through 2000 as president of the Discovery Group of Baker Hughes and was responsible for the integration of Western Atlas into Baker Hughes. Earlier, he served as president and chief executive officer of Weatherford Enterra. Previously, Dr. Bates spent 15 years with Schlumberger in both domestic and international locations and was responsible for the Anadrill business unit when early MWD and LWD tools were commercialized. Dr. Bates began his career with Shell Oil Company, where he conducted drilling research. Dr. Bates has been a personal investor and/or a corporate investor in more than a dozen oil service technology startups. 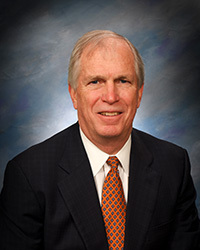 Dr. Bates serves as chairman of the board of directors and a member of the compensation and audit committees of Independence Contract Drilling, Inc. and as chairman of the board of directors and a member of the compensation and nominating and governance committees of Tidewater Inc., both of which are public companies subject to the reporting requirements of the Exchange Act. Dr. Bates also serves on the board of directors and as chairman of the compensation committee of Alacer Gold Corporation, a Canadian publicly traded company, and as chairman of the board of directors and a member of the audit committee of Vantage Drilling International, a private company providing drilling services. 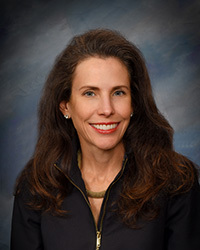 Dr. Bates previously served on the boards of Hercules Offshore, Inc. from 2004 through November 2015, Natco Group, Inc. from 2003 through 2009, and T-3 Energy Services from 2007 until it was acquired in 2011. Dr. Bates is a graduate of the University of Michigan with a Ph.D. in Mechanical Engineering. Mr. Coombs has served as a member of our Board of Directors since June 1994. He has served as a member of our Nominating and Corporate Governance Committee since July 2012 and as a member of our Audit Committee since May 2015. Mr. Coombs currently serves as a director of our CSI Compressco GP Inc. subsidiary, the general partner of CSI Compressco, also one of our consolidated subsidiaries and a publicly traded limited partnership subject to the reporting requirements of the Exchange Act. From April 2005 until his retirement in June 2007, Mr. Coombs served as our Executive Vice President of Strategic Initiatives, and from May 2001 to April 2005, as our Executive Vice President and Chief Operating Officer. From January 1994 to May 2001, Mr. Coombs served as our Executive Vice President – Oil and Gas, from 1987 to 1994 he served as Senior Vice President – Oil and Gas, and from 1985 to 1987, as General Manager – Oil and Gas. He has served in numerous other positions with us since 1982. Mr. Coombs is presently a director and serves on the audit and corporate governance committees of the board of directors of Balchem Corporation, a public company that is subject to the reporting requirements of the Exchange Act. Mr. Glick has served as a member of our Board of Directors since January 2014, as Chairman of our Nominating and Corporate Governance Committee since May 2015, and has been a member of that committee and our Compensation Committee since May 2014. 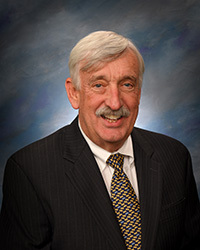 Mr. Glick served as the chief executive officer and a director of Lufkin Industries, Inc., a public company subject to the reporting requirements of the Exchange Act, from March 2008 until his retirement in July 2013 and served as Lufkin’s president and a director since August 2007. During his tenure, Mr. Glick oversaw the growth of Lufkin and, ultimately, the sale of the company to General Electric in July 2013. From September 1994 through August 2007, Mr. Glick served as the vice president and general manager of Lufkin’s Power Transmission Division. He served as vice president and general manager of Lufkin’s Oilfield Division from August 2007 through August 2008. Prior to joining Lufkin, from 1974 through 1994, Mr. Glick held several senior management level positions with Cameron Iron Works, Inc. Mr. Glick currently serves as chairman of the board of directors and as a member of the audit, nomination/governance, and remuneration committees of Hunting PLC, an FTSE 350 public company traded on the London Stock Exchange. 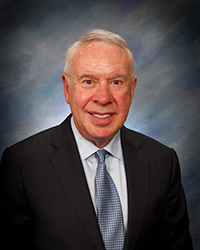 Mr. Glick also serves as the vice chairman of the board of directors of CHI St. Luke’s Health and sits on its executive committee, and is a director of CHI St. Luke’s Memorial Health. Mr. Glick received a B.S. in Journalism from the University of Kansas and graduated from the Harvard Graduate School of Business Program for Management Development. Ms. Luna has served as a member of our Board of Directors since July 2018 and currently serves on our Audit Committee and our Nominating and Corporate Governance Committee. Ms. Luna served as the chief executive officer of Luna Strategies, LLC, an independent consulting firm, since November 2016. Prior to that, Ms. Luna served at JPMorgan Chase and Co. for 21 years, holding several senior management level positions, most recently as managing director, Chase Commercial Banking, from 2009 to November 2016, as chief marketing officer, Chase Commercial Banking, from 2005 to 2009, and as chief operating officer, Commercial and Investment Banking, South Region, from 2000 to 2005. Ms. Luna received a Bachelor of Science in Business Administration, with majors in finance and management, from Texas A&M University. Brady M. Murphy has served as our President and Chief Operating Officer since February 2018 and as director since December 2018. Prior to joining TETRA, Mr. Murphy served as chief executive officer of Paradigm Group B.V., a private company focused on strategic technologies for the upstream energy industry, from January 2016 until February 2018. Mr. Murphy previously served at Halliburton for 26 years and held numerous international and North America positions, including senior vice president – global business development and marketing, senior vice president – business development Eastern Hemisphere, and senior vice president – Europe/Sub –Saharan Africa region. Mr. Murphy received his B.S. degree in Chemical Engineering from Pennsylvania State University and is an alumnus of Harvard Business School’s Advanced Management Program. Mr. Winkler has served as a member of our Board of Directors since August 2015 and currently serves on our Audit Committee. Mr. Winkler served as chairman of the board and chief executive officer of Complete Production Services Inc. from March 2007 until February 2012, at which time he retired in connection with the acquisition of Complete by Superior Energy Services, Inc. From June 2005 to March 2007, Mr. Winkler served as Complete Production Services Inc.’s president and chief executive officer. Prior to that, from March 2005 to June 2005, Mr. Winkler served as the executive vice president and chief operating officer of National Oilwell Varco, Inc. and from May 2003 until March 2005, as the president and chief operating officer of such company’s predecessor, Varco International, Inc. From April 1996 until May 2003, Mr. Winkler served in various other senior management capacities with Varco and its predecessor. From 1993 to April 1996, Mr. Winkler served as the chief financial officer of D.O.S., Ltd., a privately held company that was acquired by Varco International in April 1996. Prior to joining D.O.S., Ltd., Mr. Winkler served as chief financial officer of Baker Hughes INTEQ, and served in a similar role for various companies owned by Baker Hughes Incorporated. Mr. Winkler has served as a director of the general partner of Hi-Crush Partners LP since 2012 and currently serves as chairman of its audit committee and a member of its conflicts committee, as a director of Commercial Metals Company since 2012 and currently serves as a member of its compensation committee and as chairman of its finance committee, and as a director of Eclipse Resources Corporation since 2014 and currently serves as a member of its audit and compensation committees, all of which are publicly traded companies subject to the reporting requirements of the Exchange Act. Mr. Winkler also served on the board of Dresser-Rand Group, Inc. from 2007 until its merger with Siemens AG in July 2015. Mr. Winkler received a B.S. degree in Accounting from Louisiana State University.